Venice is a city of stone built on the water—or at least on the marshy mudflats of a lagoon—a feat of engineering and determination if ever there was one. Imagine a city of 118 islands threaded by 180 canals, these watery roads lined by Gothic-filagreed palazzi, spanned by 409 lithe footbridges, and plied by fleets of crooked-nose, coffin-black gondolas. Picture a tangle of ancient alleys, the houses often no more than shoulder-width apart, connecting countless pocket-sized campi (squares), each anchored by a church filled with Titians and Titorettos or a museum stuffed with Renaissance or modern art. 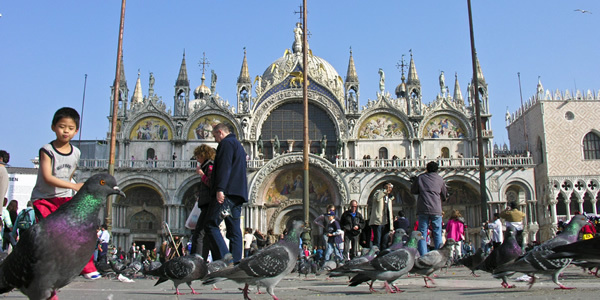 Now picure yourself spending a day touring the lagoon by vaporetto (water bus), visiting the outlying islands to watch artisans create traditional Venetian glass on the Venice-in-miniature island of Murano, see old ladied hand-tatt lace on the fishermen's island of candy-colored houses called Burano, and visit a thousand-year-old church covered in glittering mosaics on Torcello before motoring back to downtown Venice as the sun sets over the waters of the lagoon, capping it all off with a a sumptuous seafood feast. 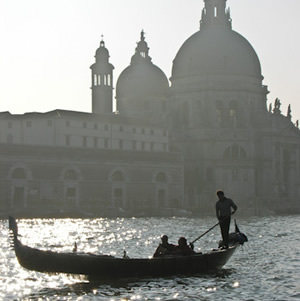 There simply is no place on Earth like La Serenissima. How long does Venice take?